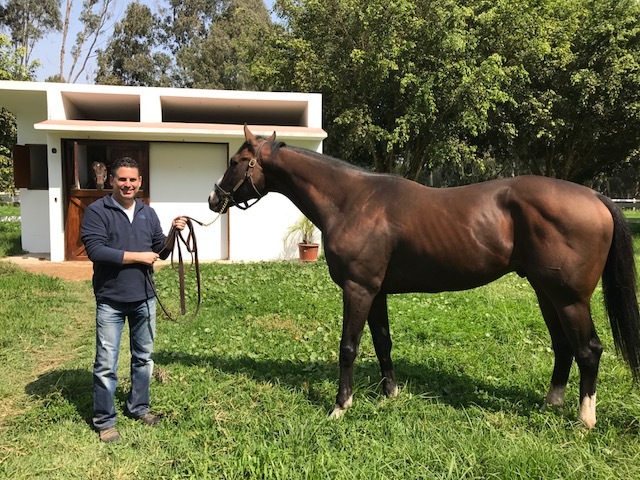 This is Cyrus Alexander (A. P Indy half brother to Super Saver) with Boris Schwartzman of Haras Barlovento, who, along with his investors, bought him to stand in Peru. He has numerous mares in foal already and loves his paddock and single stall barn in Barlovento. “He is the King” says Boris.